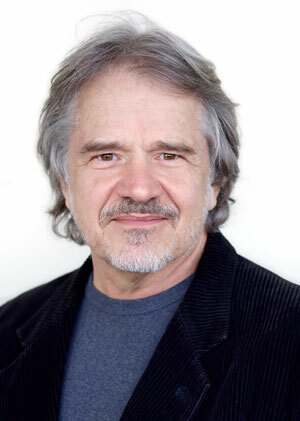 Dr. Michael Mamas is a thought leader in the areas of spirituality and personal development, with 35 years of teaching experience (including the U.S., India, Europe, and Canada). He helps people develop a deeper understanding and more comprehensive outlook by providing a bridge between the abstract and the concrete, the Eastern and the Western, and the ancient and modern. Michael Mamas is the acclaimed author of nine books (including a novel, books for reflection, a home study course, a children’s book, and an anecdotal book translated into Japanese). Dr. Mamas is also the founder and CEO of The Center of Rational Spirituality and the founder and developer of Mount Soma. Michael Mamas brings forth a deep understanding of ancient Vedic wisdom in a way that can be applied to modern life. He clarifies this eternal Vedic Knowledge, which is the source of all things and the base of all religions. This allows people of all faiths to develop a deeper sense of themselves, their spirituality, and life. As the great teacher, Adi Shankara said, the Knowledge is easily lost and people’s understanding must be purified throughout time. Michael Mamas brings out the ancient Knowledge of the East in such a way that it can be understood by younger generations and those who live in the modern day world. He is very gifted when it comes to communicating abstract concepts, enabling individuals to understand intellectually as well as feel those concepts inside themselves. He is able to take Vedic Knowledge and relate it to all areas of life in a way that is both easy to understand and practical to apply. His students often find that Dr. Mamas’ teachings directly improve their quality of life in a myriad of ways. Michael Mamas can talk about the deep meaning of Vedic Knowledge and help people find that Truth within themselves. Some say Michael Mamas was an Indian Saint who incarnated into a Westerner’s body to purify Vedic Knowledge and bring it to the world. Dr. Mamas is a versatile teacher who is able to approach the Knowledge from a variety of angles. Throughout his 35 years of teaching, he taught the Knowledge by way of various fields of study, including physics, hands-on healing, transgradient counseling, health and fitness, economics, cultural integrity, etc. With artistry and ingenuity, he varies his approach based upon the audience. His lectures are not planned so that he can talk to the consciousness and cultural orientation of the group. If you look at Michael Mamas’ blogs and articles, he will almost always be on the cutting edge of what is new or what needs to be addressed in society, the economy, etc. He senses what needs to be addressed at the time and talks to that. Michael Mamas began his Eastern education at the age of 21 with extensive study under his beloved Guru, Maharishi Mahesh Yogi, founder and leader of the Transcendental Meditation Movement. During that time, Michael Mamas experienced a profound spiritual transition. His burning desire to understand life’s deepest truths, together with the opportunity to study with such a great spiritual Master, prompted him to spend ten years living a monastic life. Additionally, he sat with eminent saints and healers in various parts of the world, including India. His cup overflowed, and he felt compelled to share this great Knowledge. In 2007, Dr. Michael Mamas was awarded the esteemed title Adhyatm Vidhya Visharad—Master of the Highest Spiritual Knowledge, the deepest awakening of the Self—from Bhagavan Yagnyavalkya Ved Tatavagyan Yogashram, the Sanskrit College at the University of Gujarat. He is the only person from the West to have been awarded this appellation. Since 2002, Michael Mamas has been establishing and developing Mount Soma, a Vedic community located in the Blue Ridge Mountains in the United States. Honoring people’s religious, cultural, and social differences, Mount Soma offers the ideal environment to reconnect with the source of all life and existence, the divine essence within. Dr. Michael Mamas’ vision is to create a Vedic enlightened city, the ultimate model for a healthy society. It utilizes the principles of Vedic technology to bring out the harmony and coherence at the base of existence and radiate it out. Mount Soma demonstrates how to apply the ancient knowledge of Veda, the fundamental Knowledge of life, to business, relationships, and all areas of life. One of the primary establishments at Mount Soma is Sri Somesvara Temple, a Vedic Shiva Temple built with 46 tons of hand-carved granite from India. It is 100% Vastu construction and is strictly maintained according to Vedic guidelines. Ceremonies are performed utilizing Vedic technology to bring the health, harmony, and integrity at the fundamental level of existence all the way out to the surface level of everyday life. Beyond his credentials and achievements, Dr. Michael Mamas is a man of tremendous intellect and foresight. His heart is gentle and kind. His insights are deep and profound. He is so unpretentious, that on the street he would likely go unnoticed. Yet to sit with him and talk is to experience the exquisite fullness of his depth. Michael Mamas’ down-to-earth humanity, wisdom, depth, compassion, and common sense allow him to reach people in a way that changes their lives. Michael Mamas is the embodiment of Divinity, the embodiment of Knowledge. It is his mission in life to bring this Divine Knowledge forth and transform global consciousness. His ability to bring out the deepest Knowledge of existence, apply it to all areas of life in a down-to-earth way, and implement it on both a small and large scale, makes Dr. Mamas one of the great spiritual luminaries of the 21st century. “Yogi in Adhyatmika Vidya (which means spiritual knowledge) and a Master” by Sree Samavedam Shanmukha Sarma; August, 2014. “Brahmarshi” (One who knows Brahma and whose physiology has a nature to be with the Knowledge of Veda.) by Vedic Pandits, Jyotishi & Pandit Sanjay Rath, and Eastern and Western devotees; May 16, 2011; and by Bhrigu nadi; January, 2003. “Maharshi” (means great seer and one with the gift of being able to reveal that Knowledge to others) by Sthapatis, shilpis, and various Indian Sri Somesvara devotees; May 10, 2011. “Adhyatma Vidhya Visharad” (means Master of the Highest Spiritual Knowledge, the deepest awakening of the Self) from Bhagavan Yagnyavalkya Ved Tatavagyan Yogashram, the Sanskrit College at the University of Gujarat; January, 2007. “Veda correlates to physics, right-handed tantra correlates to engineering, and left-handed tantra correlates to hot-wiring a car. Right-handed tantric techniques bring about a state of normal function. Left-handed tantric techniques are a quick fix that can create flashy immediate results, but don’t honor the entire system and are harmful. Veda embodies the laws of nature. All the principles and dynamics in creation are expressed through the Veda. “It is said in Ayurvedic medicine, when the physiology is out of balance, it craves what is not good for it. In other words, you crave vibrations that reinforce the forced vibrations with which you have become identified. This can include foods, relationships, music, emotions, physical sensations, and philosophies not consistent with your true nature. Michael Mamas’ insights into spiritual teachings are astounding. I believe he will be remembered for over a thousand years as one of the world’s great teachers—like Buddha. I feel privileged to have met the ‘Karana Janmi’ (One born with a Purpose, like Vivekananda), Dr. Michael Mamas. At the very first sight I could feel the Divine Spark in him. I also had the good fortune of talking to Michael Mamas one-on-one, during which he revealed his Divine Mission for the spiritual evolution of Mankind through the ancient Vedic Knowledge base. He expressed his desire to integrate Vedic wisdom with modern knowledge for a moderated spiritual growth in the present materialistic world. Michael Mamas is definitely a Great teacher born in the West with such deep insights into spiritual wisdom found in highly evolved spiritual Masters (Seers) in India. There is no doubt that his life and Mission will have a profound impact on Humanity in times to come.… I pray to the Lord to Bless the speedy fulfillment of the Mission of Michael Mamas in establishing a Vedic (Sanathana Dharma) based Spiritual Center in the Western hemisphere that will act as a beacon for the world. I also pray to the Lord to give me more chances to offer Rudra Abhishekam to the Lord Someshwara and meeting Michael Mamas. – S. Muralidhara Rao Ph. D.
The Gods have always seemed pretty groundless and far out to me. Even after I heard the traditional Hindu explanation of the different Gods being different faces of the One God, the subject still made little sense to me. Then Michael Mamas started teaching just what the Gods were. He explained how the Gods are to be found within, and that they are mechanics of nature, just like addition and subtraction are mechanics of math. Eureka! Things started to drop into place. Michael Mamas’ articles about each God on this website were like nectar to my starving soul. I couldn’t stop reading and rereading. His explanations are so clear, so well written, and so illuminating. Just reading Dr. Mamas’ articles enlivened the Gods within me—I’m not kidding! It feels empowering and energizing just to read the words on this website. Most highly recommended. Describing Dr. Michael Mamas’ proficiency in teaching Vedic Knowledge feels a bit like trying to describe infinity. The effects of his teachings can clearly be felt, yet it is hard to pin down his methodology. For one because he does not use a cookie-cutter approach that can simply be mimicked. He deeply feels into the audience and his students and tailors his teachings accordingly. If I had to describe it I would say it feels like being showered with nuggets of profound knowledge that reveals itself in ever so nuanced layers of depth as I am evolving. Some of them resonate so deeply with me that I get instant insights, others feel like artfully planted seeds blossoming over time—often times days, weeks, months, and even years after a lecture. Over time, I’ve experienced that his words and the Vedic concepts he teaches take on a richer and much more nuanced meaning as they resonate with deeper and deeper levels of my being. It feels like I’ve accessed a gateway to infinite Knowledge and potential within myself that gets more and more enlivened as I evolve. What I find most unique is that Michael Mamas does not teach any facts. He just uses facts to help people access the unbounded Knowledge that already lies at the depth of everyone’s being. An intellectual understanding of what he teaches is thereby just a humble beginning. What lies beyond that, in the gap between the words, is the real gold. Most notably, Michael Mamas refuses to compromise the subtlety and elusiveness of the Knowledge, the very qualities that make it so powerful. In a time and age that is largely dominated by linear thinking and an affinity for the 30-second sound bite I find this very precious and courageous. I feel it’s kind of hard for me to talk about how Michael Mamas communicates about Vedic Knowledge. I just know that everything Dr. Mamas says and does resonates with the deeper level of my self. Just follow his teachings and do it. Without knowing or noticing, I feel everything about me simply got transformed by itself in a very natural and healthy way. It’s elusive but fascinating! I have been a student of Michael Mamas for over 16 years. His teachings on communication, dealing with conflict, and the self-acceptance has helped me immensely with both my work and family. Even my family has acknowledged how much I have changed since studying with him. Michael Mamas’ understanding of the world comes from a much deeper awareness than most of us have awakened to. That personal depth and understanding makes him an excellent teacher. Michael Mamas has devoted his life to bringing Vedic knowledge out to the world. He is able to take the ancient Veda scriptures, and give a broader definition of what they mean as well as making them applicable to modern daily life. He presents the knowledge from different angles until it make sense deep inside. As he does this, he slowly awakens each of us to that place that is one with the Transcendent (God or Supreme). Michael Mamas presents Vedic knowledge through his lectures, blogs and articles. Each one is something that can be reflected on for quite some time. I find his teaching very different than what is out there and always valuable.